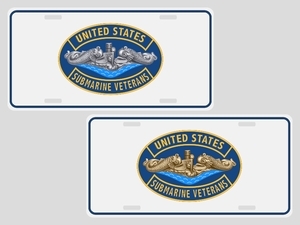 Our USSVI license plates for your car or truck are a perfect way to show your pride. 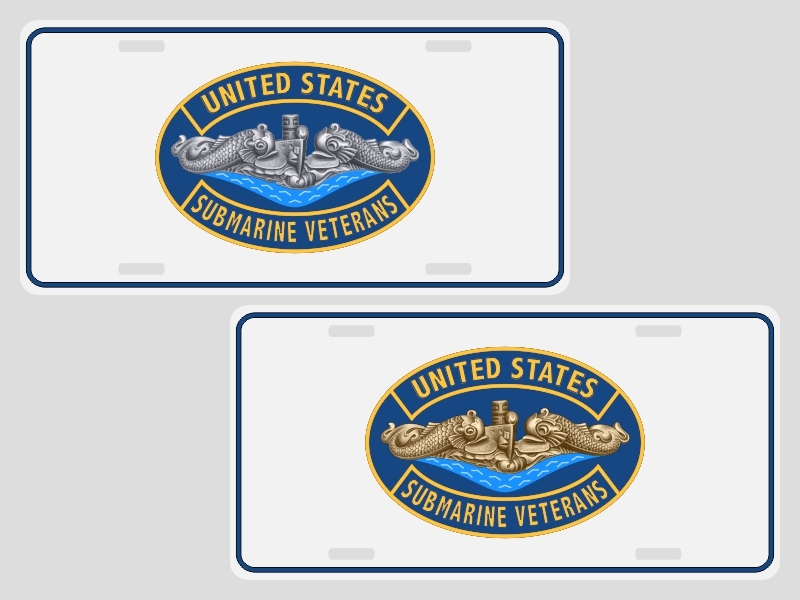 Each submarine license plate is high quality, coated aluminum and measures 12.0" wide x 6.0" high with four standard mounting holes. Available in Light Gray, Dark Blue and Jet Black with your choice of either silver or gold dolphins. They are extremely bright, durable and 100% made in the USA. We individually print each license plate to order in Cumberland, Maryland.